Right now you can snag this Cuisinart - 6-Quart Electric Pressure Cooker $49.99 (Retail $99.99). 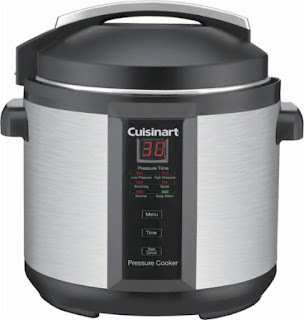 Cuisinart 6-Quart Electric Pressure Cooker: Prepare your favorite meals quickly with this pressure cooker, which features a stainless-steel housing for long-lasting performance. The dishwasher-safe design makes cleanup simple.